I used Color Club Where's The Soiree? 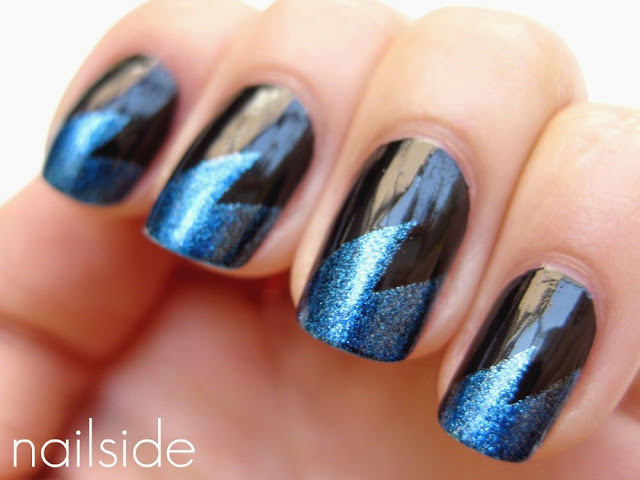 as my base color and the blue foil on top is from Hema, a Dutch department store. Wauw super mooi! Die blauwe kleur van de Hema is ook echt geweldig. Oh that's so cool! Great colors as well. This is fantastic! I've not seen anything like it. Looking forward to the tutorial! I think this is going to be one of my favourites ever! 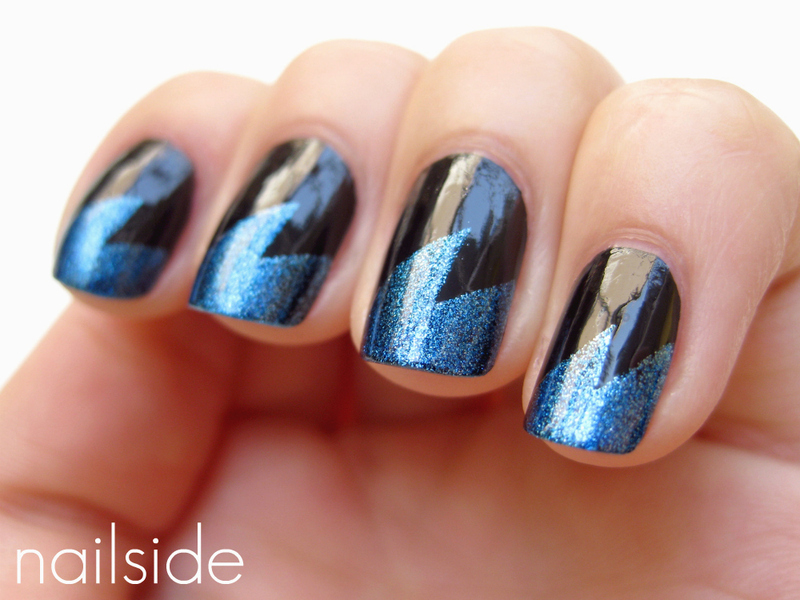 You're soooo good at tape manis *ç* And I also love the two colours you choose for this, they are just perfect together! Really cool! Loved that idea! Thank you guiys for the feedback, you're awesome!! I'll post the tutorial soon.